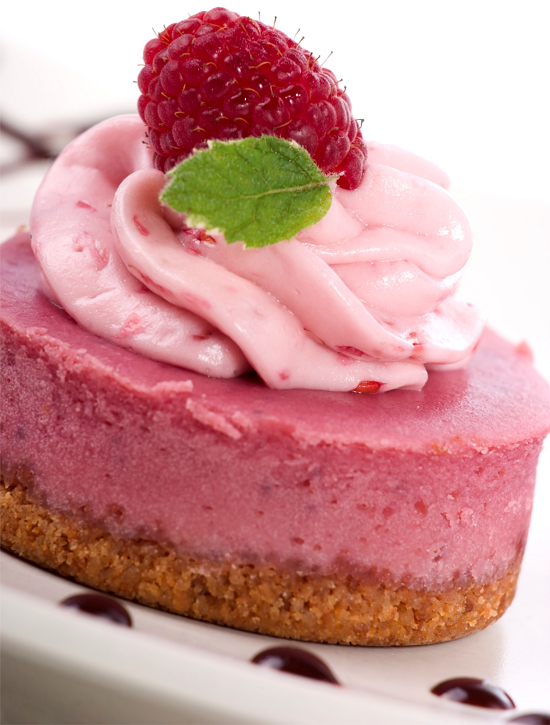 Raw Vegan Strawberry Cheesecake Recipe. Perfect for Paleo Diets too. Refined sugar-free & Gluten-free. Good dessert choice if you’re trying to lose weight. NOTE: for coconut cream. Refrigerate can of full fat coconut milk upside down overnight. Gently turn can over. Open can and scoop out coconut cream. Use coconut water in another recipe. Like a smoothie. Use 2T for cheesecake filling. Return remaining coconut cream to refrigerator. Before serving cheesecake. Whip coconut cream. Directions follow. DIRECTIONS CRUST—process all crust ingredients. Use a small food processor. Process until finely ground and sticky. Oil cups of a 12 Cavity – Mini Cheesecake Pan. Or a 12 cup muffin tin. Press an even amount of crust mix, firmly into each cup. DIRECTIONS CHEESECAKE—thawberries. Add cashews to food processor. Or inverted blender cup. Process into a fine powder. Add oil. Process to incorporate. Stir mixture up from bottom of container. Add remaining ingredients. Process until smooth and creamy. Add filling to individual cheesecake pan cavities. Or to muffin tins. On top of the pressed crust. Freeze about 4 hours. Or until just firm. Release mini-cheesecakes from pan. If using muffin tin. Turn it upside down over parchment paper. Release cheesecakes. If cheesecakes don’t release. Try running hot water over back of pan. Store cheesecakes in freezer until ready to serve. Then thaw until just soft enough to cut with a fork. FOR PINK WHIPPED CREAM—process a few strawberries. Strain excess juice. Mix into whipped cream. Pipe whipped cream on top of each cheesecake. Garnish with fresh sliced strawberries. Or raspberries. And a mint leaf. CHOCOLATE DROP GARNISH—Mix raw cacao powder with a little coconut oil. Add a few drops along one side of cheesecake as decoration. 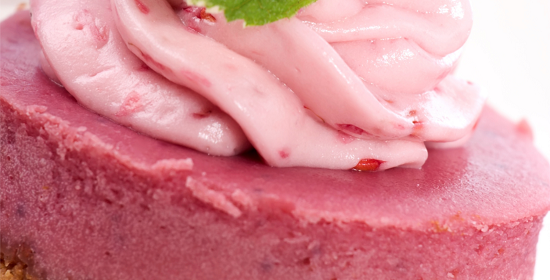 Metatag: Raw Vegan Strawberry Cheesecake Recipe. Perfect for Paleo Diets too. Refined sugar-free & Gluten-free. Good dessert choice if you’re trying to lose weight.